If you need the Internet to work or surf on the road, there are many mobile hotspots available now to provide good solution. 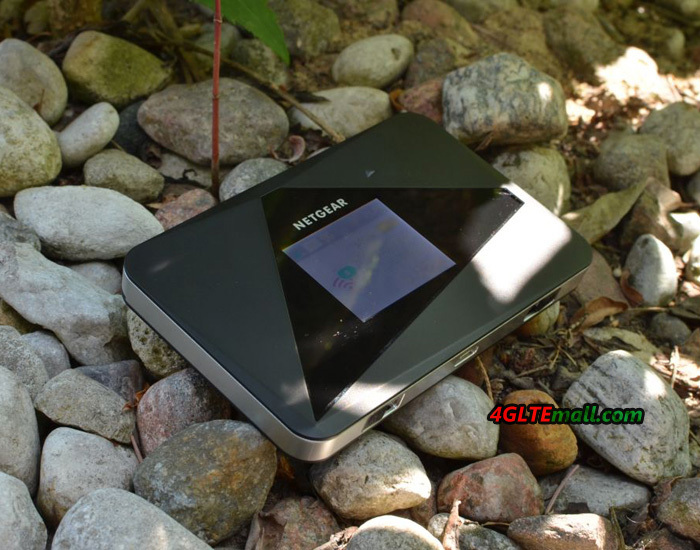 We’ve put Netgear AirCard 785S to the test in recent weeks. 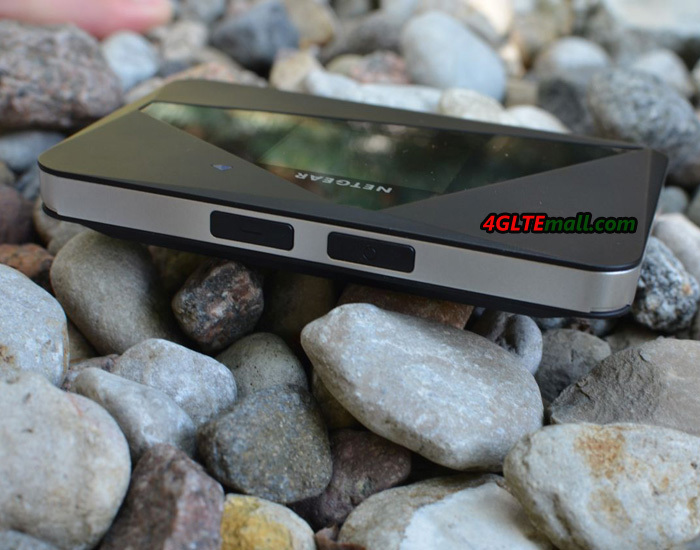 The portable WiFi hotspot for 4G Internet is useful for all our connected devices and keeps working a whole day without any trouble. Small (11 x 7 x 1.4 cm) and lightweight (125 grams including battery), fits easily in a pocket. The whole body of Aircard 785 is made of high quality plastic and is extremely easy to use as it has only two buttons: ON/OFF to switch on and switch off the router, and a navigation button to scroll through a few simple options that can be activated directly from the device without interfacing through smartphone apps or web panel. There is in fact a small LCD display (3.5 x 3 cm), which focuses on all the key data and allows you to choose between different modes for use with a few clicks. At the opposite edge to that where we find the two buttons, the microUSB input are located for charging the lithium battery of 2,000 mAh (removable) and two sockets for connecting external antennas, available separately and useful – but not essential as we will demonstrate through our testing – to increase the power and reach of the signal. The back cover is removable and there is the microSIM slot below the cover. 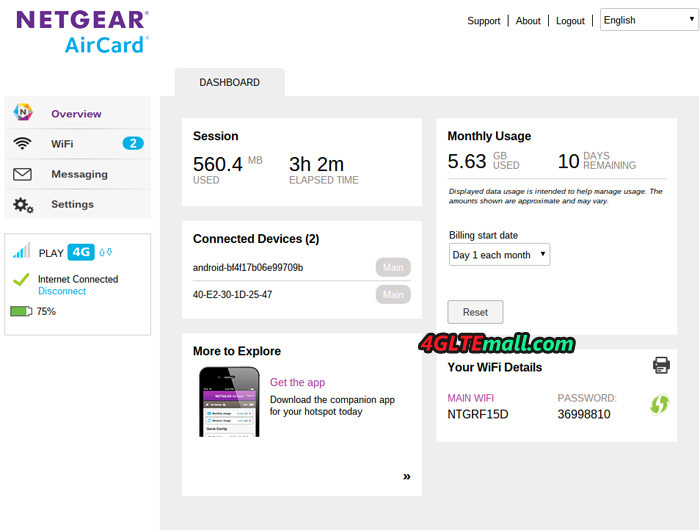 On the LCD screen of Netgear Aircard 785, usage data, WiFi name and the WiFi password are shown. This means that those who are nearby and peers on the screen can potentially find out the password to access and leverage your data plan. Since the information on the screen cannot be hidden in any way, and whereas power on, the screen will remain active for 30 seconds (default timeout is 1 minute), it is perhaps advisable to turn the router while using in public places. 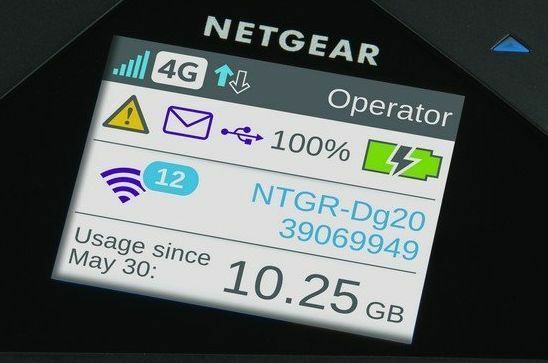 In addition to this information, the Netgear AC785S screen will also show some icons, specifically the classic 5 bars that just like on mobile phones, shows the signal strength; 3G/4G symbol to know at a glance the type of network to which you are supporting; the WiFi symbol with a number overlay that represents the number of connected devices; the two arrows to learn about the data transmission activity in real time; any envelope to indicate the presence of unread messages; and the battery indicator. In our view, the lower portion of the display, if configured, allows you to monitor your data consumption in practice. If you’re using a monthly subscription, you can select the day when you renew your subscription and know at a glance and in real time the precise GB consumed from day one. Inserted the SIM card into the Aircard 785s, connected the battery and close the cover, it just has to turn on the router by pressing the ON/OFF button for a few seconds. In just around 10 seconds, it will be immediately ready and connected to the Internet. Unlike the successor Netgear Aircard 790, the aircard 785s can’t be operated via screen. 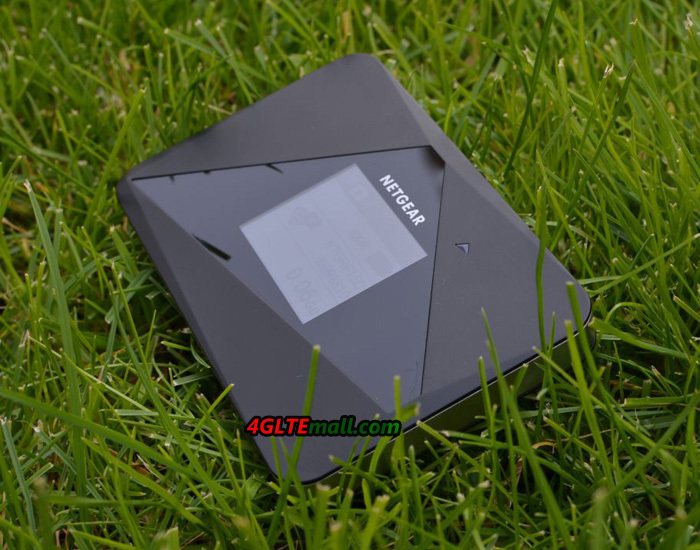 At first, it is advisable to change the default password for your Netgear 785 Mobile WiFi, thus making sure that no other device in the vicinity can connect to the network and use their data subscription. To configure the router, you must first connect to it with a device via WiFi. 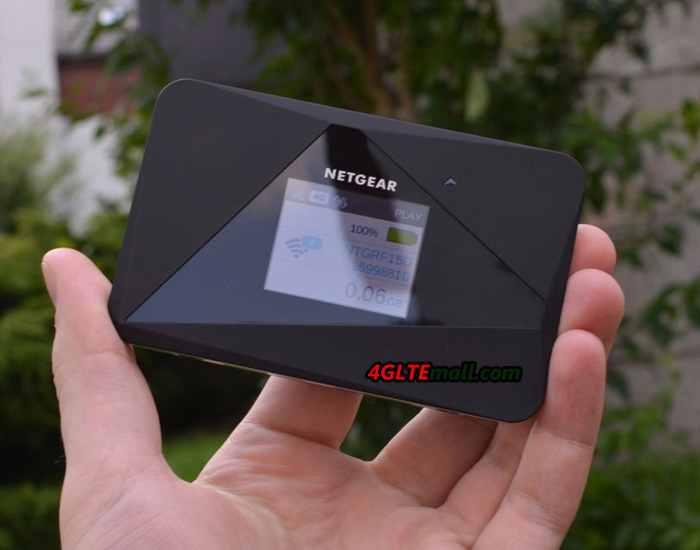 At that point, you can follow two paths: you can download the application Netgear Aircard App to your smartphone or through any browser (including mobile), go to the address http: //netgear.aircard/. Then you log in to the administrator panel. The default password is “password” and, like that of WiFi, it is advisable to change it from the first access so as to prevent connected users to do the settings. We tried both systems and we preferred access via the web panel, which we thought was immediately simple and straightforward. The application interface, on our iPhone 6 Plus, it is not optimized for this display appears overly large, but it works without problems and offers quick access to all the desired functions. 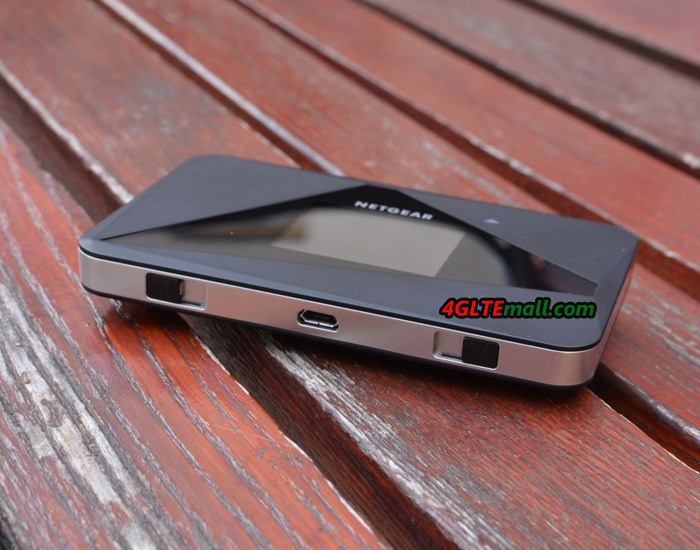 In addition to changing passwords for the Netgear AC785 Aircard, access to the panel can be useful for reading text messages without having to remove the SIM card to insert it into a cell. Experts can also customize every detail, however, in our tests we have found that in fact, the system automatically recognizes the card operator and set the correct parameters automatically. From the 785s aircard Settings panel, you can select the language, choose the screen brightness and display timeout, enable or disable the LED indicator and decide after how many minutes/hours of downtime the router can automatically turn off WiFi to save battery. You can also export all configurations jack to a file so that, as a result of a possible recovery, you can re-import them with a click without having to again lose time sifting through the various panels. We enclose a photo gallery where you can take a look at all the functions accessible via the web panel. We used the Netgear 785s router every day for more than a month, and when connect MacBook, two iPhones and an iPad simultaneously, we didn’t ever encounter any problems. The connection to the Aircard 785 was always stable and high performance, even when the router was located on the opposite side of our small apartment. We have also tried the external antennas, but only with router and no extra accessories, about 15 meters away and with two walls to separate the connected devices, the testing terminals had continued to function without too much trouble. Specifically, the reception of the WiFi signal was obviously weaker, the response in navigation proved slightly slower but still quite functional and useful to allow us to work smoothly. The optimal working condition on Mac was in the same room without walls to separate them, even at more than 5 meters away. 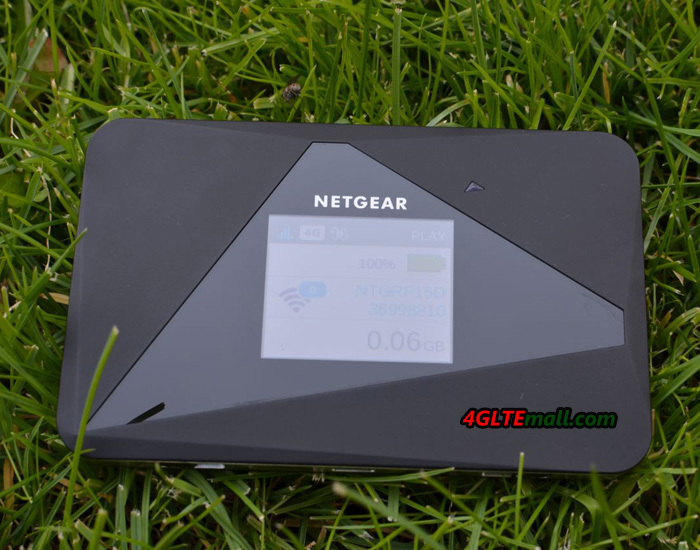 Here, the reception is always optimal, and thanks to 4G connectivity guaranteed by our membership, on many occasions, the speed through Netgear 785 aircard is even faster than the ADSL line of our house. 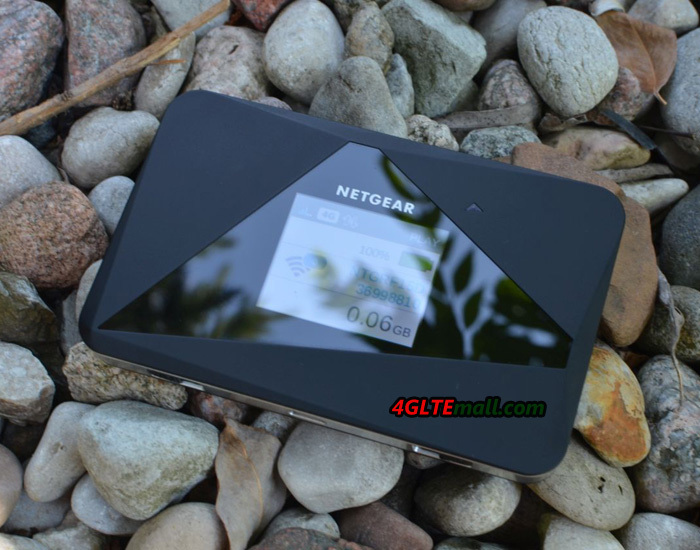 The Netgear AirCard 785S provides the most convenient solutions to have a 4G hotspot in your pocket and connect all mobile devices. And it’s the ideal choice for those who must work on the computer while traveling, for those who are on vacation and want to offer Internet to the whole family, but also for those who have a WiFi iPad and do not want or cannot take advantage of the hotspot mode for iPhone to connect to the Internet. Among the Aircard 785s features, we liked the most is the Guest mode that can be activated directly from the router with a few clicks by the instructions on the screen. In practice, the Guest WiFi can offer temporary access to the Internet for a friend without telling your master password. The Aircad 785s is really recommended for your mobile network partner!